BEIRUT (CNS) — Mideast Catholic leaders are urging people to put aside ideology and blame and work to rebuild the city of Aleppo, Syria. “The world is divided. Each one is accusing the other,” said Syrian-born Catholic Patriarch Gregoire III Laham. “It’s not the time to accuse each other. It’s the time for worldwide powers to be united and to work together for peace. Now is the time for reconciliation,” he told Catholic News Service Dec. 16, the day after he returned from Damascus, Syria. “We are praying for the victims. We are praying for Aleppo and all of Syria to have peace again,” Patriarch Laham said. “As Christians, we cannot have hatred in our hearts. Even the ones who attacked us, we have to pray for them that they may have a new life and not to continue with war, violence, hatred and terrorism. We must pray for them to go toward the path of peace,” he said. 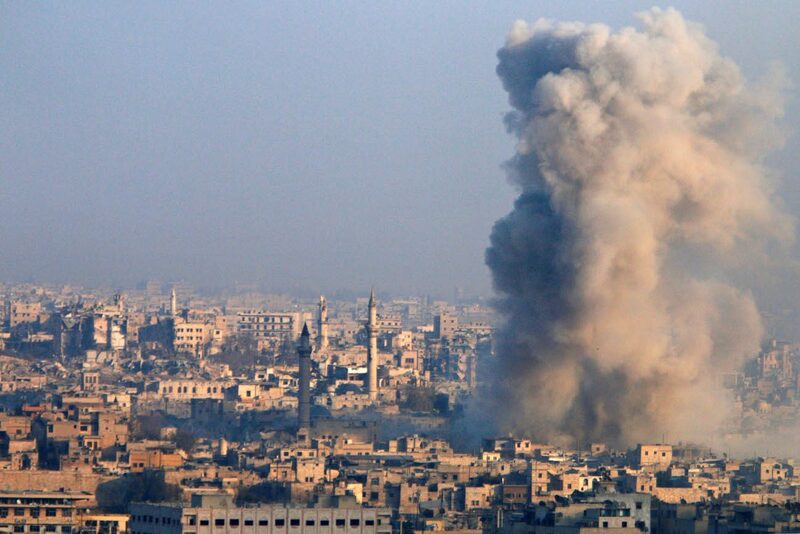 In mid-December, the Syrian army retook control of almost the entire city of Aleppo. The city had been split between government and rebel control since 2012. On Dec. 16, France called an emergency meeting of the U.N. Security Council to help consider conditions for evacuating citizens and allowing humanitarian aid to reach areas most needed, reported the Associated Press. Bishop Audo, head of the Syrian branch of Caritas, urged the world to “listen to the call of the poorest, which is the cry of God crucified and (the) unborn child of the manger. “Syrians are not people who like violence,” Archbishop Tobji emphasized. “We’ve seen Turkman, Pakistani, Tunisian and Saudi Arabian fighters. And those, unfortunately, don’t have any choice but fighting until the end because their (native) countries don’t want them back,” he said. Catholic Relief Services, the U.S. bishops’ international relief and development agency, supports the Caritas network. “The church is working for peace, wants safe access to all populations, a cessation of violence, and the beginning of a process of reconciliation that will allow the Syrian people to safely stay in their country and work together for peace and prosperity,” Sean Callahan, CRS chief operating officer, said Dec. 16.